Hewlett-Packard Co, which is splitting into two listed companies later this year, said on Tuesday it expects to cut another 25,000 to 30,000 jobs in its enterprise business as the tech pioneer adjusts to falling demand. The latest cuts, on top of layoffs of 55,000 workers previously announced under chief executive officer Meg Whitman, notably will be in the company's faster-growing corporate hardware and services operations, to be spun off as Hewlett Packard Enterprise, or HPE, on Nov. 1. The latest job cuts indicate a reduction of the company's total workforce by at least 10 per cent, based on the company's most recent number of more than 300,000 employees as of Oct. 31, 2014, and reflecting the previously announced reduction of 55,000. The company indicated the cuts will be global, but provided no specifics. 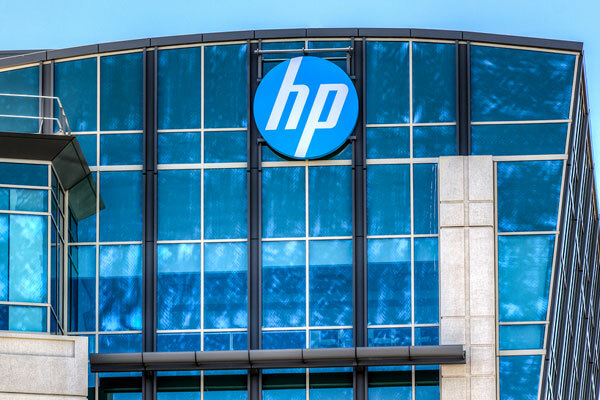 Under the split into two companies, the other company, HP Inc, will comprise the computer and printer businesses, which have been hit hard by a relentless decline in sales of personal computers. "We've done a significant amount of work over the past few years to take costs out and simplify processes and these final actions will eliminate the need for any future corporate restructuring," Whitman said in a statement. The job cuts, aimed at saving $2.7 billion a year, will result in a charge of about $2.7 billion, beginning in the fourth quarter, HP said. Job cuts have become a way of life at the company in recent years as it has digested a series of acquisitions that failed to revive its fortunes. "The number is sadly larger than some people might have expected, but I think it's a reflection of how much trouble HP has been having with its services," said Charles King, president and principal analyst of Pund-IT, a Silicon Valley IT consulting firm. Hewlett-Packard's chief financial officer, Cathie Lesjak, said last month that HP expected the previously announced job cuts of 55,000 under Whitman to increase by up to 5 per cent by the end of October. "I'm frankly not sure if HP is finished with the layoffs," King said, saying he expects the job cuts and the shuffling of people and positions to continue well into 2016. HP said it is moving more of its workers to lower-cost locations as part of its efforts to cut costs. In its 2013 fiscal year, the company said 36 per cent of the employees in the unit of HPE called enterprise services worked in what it called low-cost locations. This year 42 per cent do, and executives said they plan to increase that per centage to 60 per cent by 2018. In its fiscal third quarter ended July 31, HP's revenue from personal computer and printer businesses, its largest, fell 11.5 per cent. Of the units to be housed in HPE, which will be run by Whitman, sales in enterprise services dropped 11 per cent, while revenue at the enterprise group rose 2 per cent. HPE will have revenue of more than $50 billion, and is expected to report adjusted profit of $1.85 to $1.95 per share in 2016, HP said on Tuesday. The business is expected to report free cash flow of $2.0 billion to $2.2 billion in 2016, at least half of which is expected to be returned through dividends and share buybacks. HP shares fell 1.4 per cent to $26.73 in extended trading on Tuesday after the news. Maxim Group analyst Nehal Chokshi blamed the market reaction on the cash flow target, which he said looked short of the contribution needed from the enterprise unit to meet analysts' forecasts. Late Tuesday, the company also released financial projections for HP Inc, the PC and printer businesses. Saying it expects the market for those products to remain tough for the "next several quarters," it forecast 2016 earnings for HP Inc to be between $1.67 to $1.77 per share, excluding items.